Small spaces create exciting challenges for interior designers, but at first they aren’t always fun for the homeowner. When faced with a small space you might see wasted space, or perhaps a nook of sorts. If you’re faced with a small space in your home, don’t lose hope! There are endless strategies for making the most of a small space, and the best strategies are just below. A very simple but effective way to make a space look larger while maintaining the functionality of the furnishings is to use translucent accessories. Pick furnishings made of glass, lucite, or plexiglass. These materials seem to disappear and will appear to take up less space. If you can’t expand out, expand up. By raising the ceilings in a room creates the illusion of greater space. A small room with high ceilings loses its claustrophobic feeling altogether. If expanding upwards is too big of a project, you can simply use the entire wall. Hang curtain rods and draperies at the ceiling to make the room feel taller. You can even match curtain and furniture colors to the wall color as well. In a small room, you can create the illusion of space by using reflective surfaces that seem to expand the room. 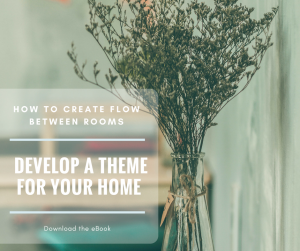 Use mirrors and reflective finishes – from wall art to side tables – to create a vista, bring light into dark spaces, and create faux doorways or windows. These will all make a room seem bigger. Use two small round tables instead of one big coffee table. They are better for traffic flow than one big knee knocker! If you do use one large coffee table, pick one that is two-tiered to double your usable surface area. First, try removing the doors from your small space. This can open the space and create an easier flow in and out, making it feel less claustrophobic. If you choose to put doors on your small space, choose pocket doors to make small or awkward rooms more functional. You can even try using curtains to create privacy instead of a traditional door. This might seem simple, but drawers are often overlooked. Picking drawers over conventional base-cabinet doors can minimize hassle when situating furniture in a room as well. A set of shallow drawers can fit snuggly against a wall in a small space where opening cabinet doors can create logistical problems.